The two worlds we were about to witness would be like nothing we had ever seen. We knew where the next portion of our trip would be taking us, but that was about it. The two worlds we were about to witness would be like nothing we had ever seen. We would fall in love with these two very different landscapes and it is our hope to get to know these areas closely. 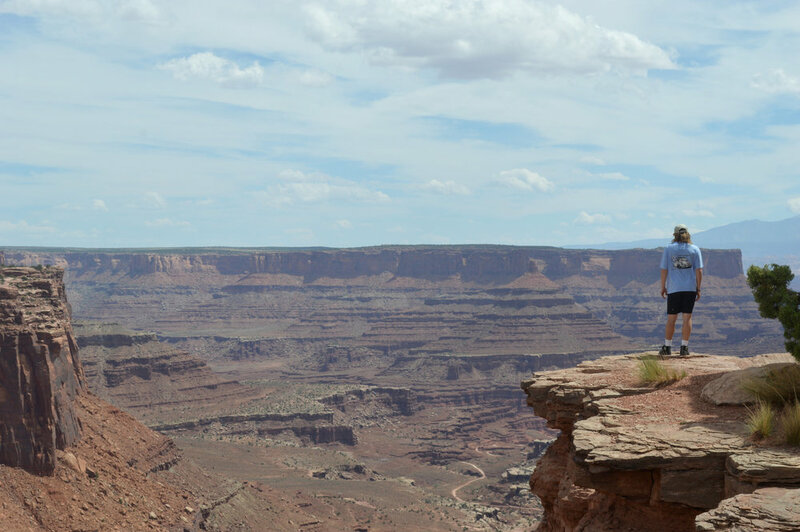 The next morning, we committed ourselves to some time in Canyonlands National Park, just a short hour drive from our campsite outside of Arches National Park, before our drive to our next home for a couple of days. It was different, to say the least. We drove towards the park on what seemed to be a prairie, with rolling hills and herds of cattle littered across the land. It wasn’t until we approached the park boundary that we realized what we were sitting on top of. It almost felt like walking up to the edge of a cliff blindfolded. When a cliffside speaks a thousand words, all you really can do is listen, like a committed student listening to a esteemed professor lecturing on a favorite subject. 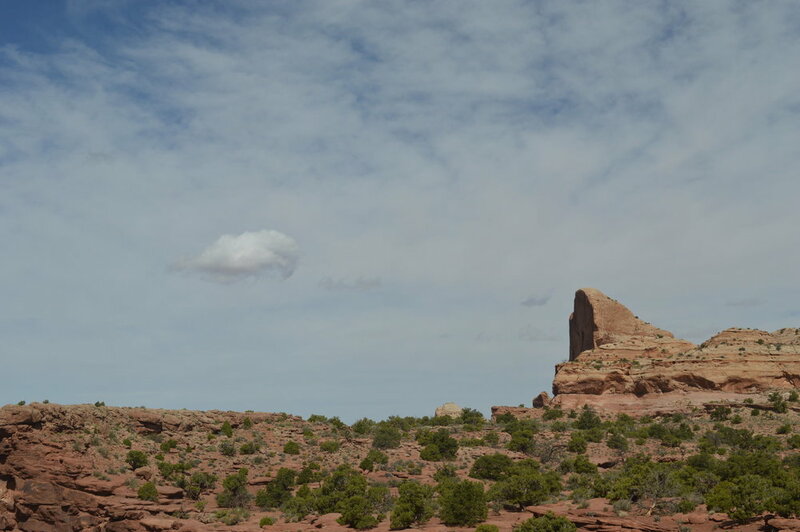 The red cliffs and needles were speaking to us, but saying something different to each one of us. That’s where the true beauty of nature lies: in its ability to answer questions about yourself and the world around you that you didn’t even think to ask, to inspire a sense of wonder in us and light a fire in our adventurous hearts. The 3 districts of Canyonlands stood with their own unique personality and challenges that remain hidden to the distant eye. How furiously we desired and how inspired we dreamt of travelling into these places. But, a travel time of several days and the lack of services amongst the Needles and Maze districts kept us confined to admiration from the Island in the Sky district, for we had another landscape to reach and settle in for the night. We knew we would be back in the Needles and Maze districts soon, exploring the ruggedness and ruralness that these districts encompass. Zion crept up on us slowly, as we snailed along the West-bound highway, while dreams of ocean and sand mocked our minds. The further we distanced ourselves from what was behind, the easier it became to embrace what lay ahead. We finally reached our second BLM campsite, this time just a few minutes outside of Zion National Park. 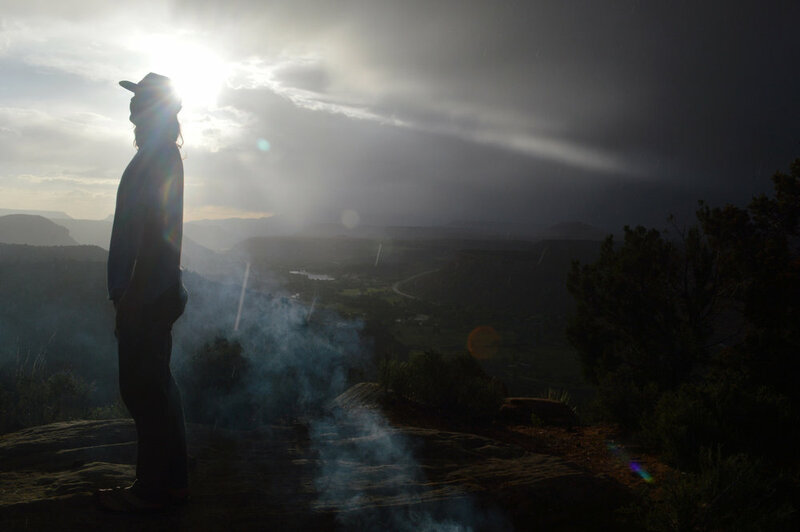 We had every intention of campfire discussions and dinner overlooking the beautiful Virgin River that ran just under the cliff we sat upon, but Mother Nature threw us a curveball. We found rain and wind pounding on our windshield, while we waited for the right moment to run to the trunk for the tent and rain jackets we brought with us. It was strange: the rain seemed to enrich the experience we had thus far, while we both expected it to dampen our moods and energy. After about an hour of rain, the clouds began to move across the evening sky, and we stepped out of our tent to a cool, wet landscape around our campsite. The rock and sand was now a darker red than before, and soon a massive rainbow spread out between the canyons behind us. The scene was magical and breathtaking, truly one of the most spectacular sights we had ever seen. "i will never forget any of this." 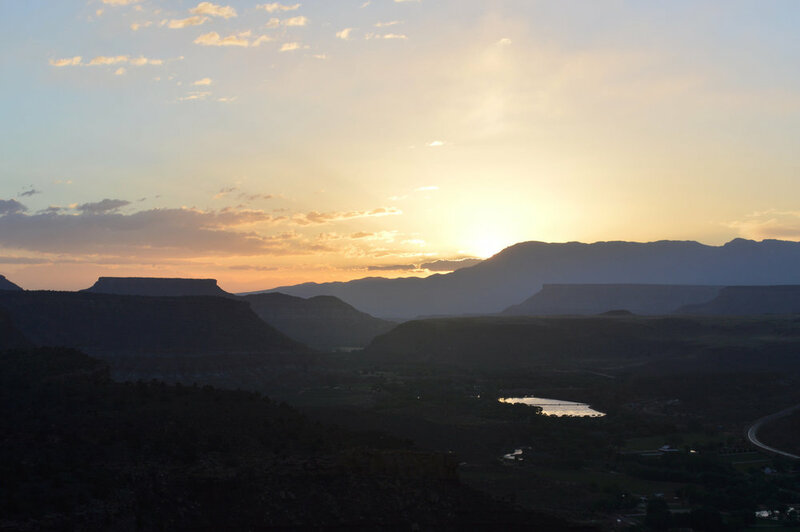 We awoke to a beautiful sunrise, followed by some eggs and a hot cup of coffee, with plans to explore Zion National Park for the day. Like Arches and Canyonlands, the adventures offered in the beautiful land of Zion can not be explored completely in one day, so we made a point to be efficient and purposeful with our time. The Emerald Pools were our first stop. We couldn’t help but be reminded of Yosemite as we hiked along, noticing that Zion is surrounded by monstrous walls, with a thriving community and a plethora of tourists on her valley floor. The Emerald Pools is a popular destination for most visitors in the National Park, along with the start of the Narrows which was our next stop. We stood at the entrance, where the rivermouth roared after a winter of healthy snowfall. Again, we could only dream of returning to Zion to trek through the Narrows because the time of year we visited meant the water levels in the river were too high to go through. After a few hours of seeing what we make of Zion’s main attractions, we decided to hop off of the beaten path and find a place to pitch our hammocks. Sitting under the energy of these walls and the calming shade of these trees brought us to a place neither of us had ever been. That truly was the point for us: to enrich our perspective and leave every place we stopped at with a new experience to think about and reflect upon. We returned to our campsite that day satisfied with what we had seen, but were reminded of how limited we were due to the short amount of time we had at each stop and the time of year we found ourselves passing through each National Park. The warm fire slowly rocked us to sleep, and we returned to our sleeping bags with a little more dust on our skin and fire in our hearts. All we could do then was look forward to what was coming next: Snailing along the Westbound highway, towards Joshua Tree, California.